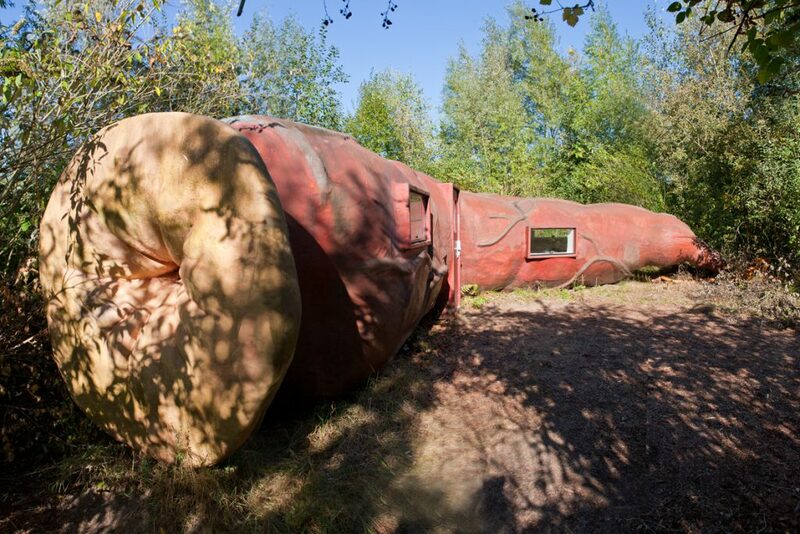 This polyester sculpture, a gigantic replica of the human digestive system was designed by the Dutch artist Joep Van Lieshout as an exclusive apartment. The raw natural shapes and colours stand in sharp contrast to the pristine white interior of the construction. 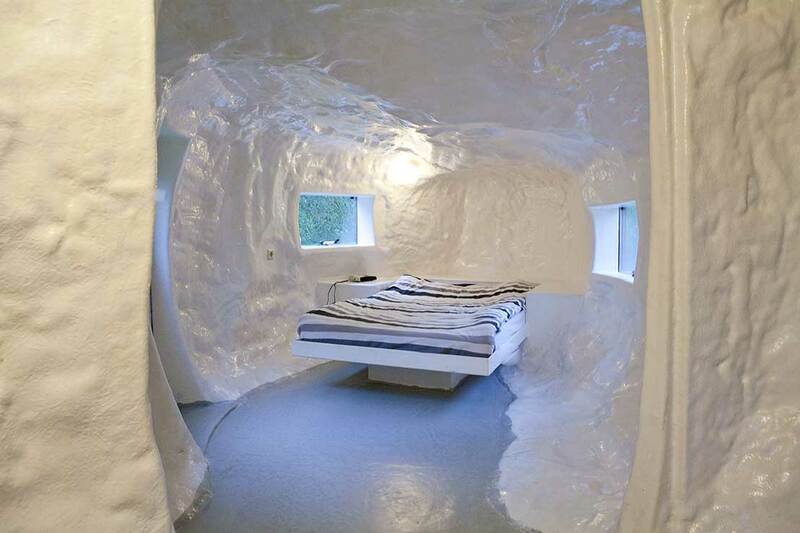 The room contains a double bed, a table, a shower and a toilet. CasAnus is also equipped with lightening, running water and electric heating. 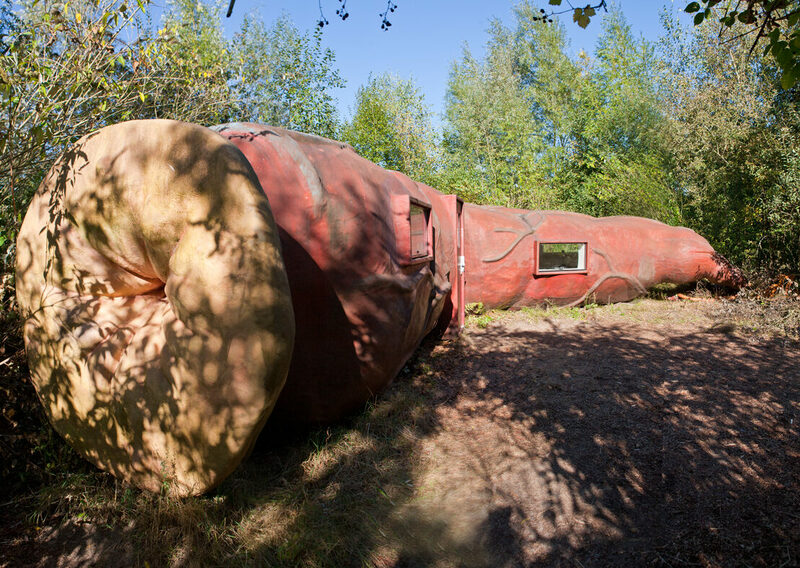 One night in Joep Van Lieshout’s installation costs €120 for two people. Breakfast and access to the museum are included in the price.